The Anthropocene Project is from the multiple-award winning team of Edward Burtynsky, Jennifer Baichwal, and Nicholas de Pencier. The goal of the Project is to explore a critical point in Earth and human history, and expand awareness of our species' reach and impact. EDWARD BURTYNSKY is known as one of the world's most respected photographers. His remarkable photographic depictions of global industrial landscapes are included in the collections of over sixty major museums around the world, including the National Gallery of Canada, the Museum of Modern Art, the Guggenheim Museum in New York, the Reina Sofia Museum in Madrid, and the Los Angeles County Museum of Art in California. His imagery explores the collective impact we as a species are having on the surface of the planet; an inspection of the human systems we’ve imposed onto natural landscapes. 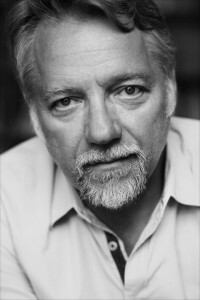 Burtynsky’s distinctions include the TED Prize, The Outreach award at the Rencontres d’Arles, the Roloff Beny Book award, and the Rogers Best Canadian Film Award. He sits on the board of directors for CONTACT: Toronto’s International Photography Festival, and The Ryerson Gallery and Research Center. In 2006 he was awarded the title of Officer of the Order of Canada; in 2016 he received the Governor General’s Award in Visual and Media Arts. In 2018 he was named Photo London's Master of Photography and the Mosaic Institute's Peace Patron. Most recently he was honoured with the 2019 Arts & Letters Award at the Canadian Association of New York’s annual Maple Leaf Ball. He currently holds eight honorary degrees. JENNIFER BAICHWAL has been directing and producing documentaries for over 20 years. 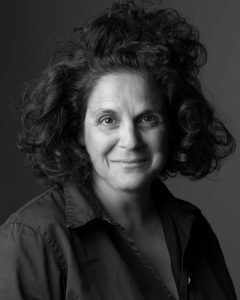 Her films have played all over the world and won multiple awards nationally and internationally, including an International Emmy, 3 Gemini Awards, and Best Cultural and Best Independent Canadian Documentary at Hot Docs, for features such as Let It Come Down: The Life of Paul Bowles, The Holier It Gets, Act of God, and Payback. Manufactured Landscapes won, among others, TIFF’s Best Canadian Film and Al Gore’s Reel Current Award. It played theatrically in over 15 territories worldwide, and was named as one of 150 Essential Works In Canadian Cinema History by TIFF in 2016. The feature documentary Watermark premiered at TIFF 2013, and won the Toronto Film Critics Association prize for Best Canadian Film. It has since been released in eleven countries. In recent years, de Pencier and Baichwal have expanded into film installation work, and have exhibited at the Art Gallery of Ontario and Nuit Blanche, among others). Baichwal and de Pencier were also co-directors of Long Time Running, a feature documentary on the Tragically Hip’s poignant final tour. The documentary premiered at TIFF 2017, and was released by Elevation Pictures, and broadcast by Bell and Netflix. Baichwal sits on the board of Swim Drink Fish Canada, and is a member of the Ryerson University School of Image Arts Advisory Council. She has been a Director of the Board of the Toronto International Film Festival since 2016, and is a passionate ambassador of their Share Her Journey campaign, a five-year commitment to increasing participation, skills, and opportunities for women behind and in front of the camera. 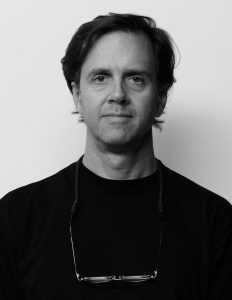 NICHOLAS DE PENCIER is a documentary Director, Producer, and Director of Photography. Selected credits include Let It Come Down: The Life of Paul Bowles (International Emmy), The Holier It Gets, (Best Canadian Doc, Hot Docs), The True Meaning of Pictures (Gemini, Best Arts), Hockey Nomad (Gemini, Best Sports), Manufactured Landscapes, (TIFF Best Canadian Feature; Genie, Best Doc), and Act of God (Gala Opening Night, Hot Docs). He was the Producer and Director of Photography of Watermark,(Special Presentation, TIFF & Berlin, Toronto Film Critics Award, Best Canadian Film, CSA Best Documentary), and Black Code (TIFF 2016), which he also wrote and directed. De Pencier’s video art installations with Jennifer Baichwal include Watermark Cubed at Nuit Blanche 2014,, Music Inspired by the Group of Seven, 2015, with the Rheostatics in Walker Court at the Art Gallery of Ontario, and Ice Forms, an installation room as part of the Lawren Harris Exhibition at the AGO in the summer of 2016. Most recently, de Pencier and Baichwal were co-directors (and de Pencier DOP) of Long Time Running, a feature documentary on the Tragically Hip’s iconic 2016 summer tour. Produced by Banger Films, the film was a Gala presentation at TIFF 2017, then subsequently released by Elevation Pictures and broadcast by Bell and Netflix. de Pencier is on the board of directors of Hot Docs and DOC Toronto.